Thanks so much for all the congrats and well wishes on our news! We are really excited, and it makes it all feel a lot more real to share it with you guys. There were lots of questions in the comments, so I thought I would add some more details and things here today to get all caught up on the past few months – how I’m feeling, how long we’ve known, and more! We have known for a while now – from as early as one can possibly know! I think because we’ve been through this so many times, I’ve gotten used to just taking those early test strips whenever it was even a remote possibility. Casey didn’t believe me this time until I went out and bought one of those digital ones that said “pregnant!” It has felt like a very longgggggg few months, and I’ve spent most of them honestly choosing to not really think about being pregnant very much. Other than obviously trying to take care of myself as best as possible, I refused to allow myself to go down any emotional paths, for fear of what could potentially happen. I did some early blood work to test hormone levels, two early ultrasounds to check viability, and lots of early blood panels to make sure things like thyroid, iron, antibodies, etc were all where they should be. Thankfully, so far it has all been good news this time around. We did genetic testing blood work at ten weeks that all came back favorable as well, and that felt like another big hurdle we had passed. We have really taken it day by day this time. A few people asked, and I probably should have added – that Casey and I knew the reveal results just before we did it with the kids. We needed to look at my testing results in order to choose the right baseball! Plus, once we knew the results were available in my email, it was wayyy too hard not to look! It was nice to have that moment just to ourselves, so Casey and I could experience that together privately. And it made it even more fun then to do with the kids since we knew what to expect – and we knew they would be SO excited. Obviously we truly didn’t care either way, but Cullen has been asking for a sister all along! We told the boys that I am pregnant a few weeks ago — right after their birthdays. We saved it as their final birthday gift, and sat them down and showed them my ultrasound picture. Cullen screamed with excitement and Graham said, “but where is the present?” They are both really excited and talk about the baby every day. When I am feeling bad in the mornings and gagging into the toilet, the boys like to talk about how baby sister is getting an immediate “time out” in the hospital for making mommy sick. I think they are going to be the best big brothers! So far this pregnancy has been really different from my others. With the boys I was really, really sick – with lots of puking – for a long time. This time around I have only thrown up a handful of times, and have felt mostly okay other than a steady stream of mild nausea most of the time. Instead of puking I have spontaneous dry heaving spells — so glamorous! My appetite is very limited. I have been living on soup, oatmeal, coffee, and cheese. I am so ready to enjoy normal food again! My energy level is fine until about 7pm when I completely crash, but it means I’m able to get what I need done in a day and take care of the kids, before falling asleep on the couch immediately after they go to bed. For sure my easiest pregnancy to date (so far) – can’t complain about that! I’m not in maternity clothes yet, but I think my days are numbered on my jeans. I did buy a few new things over the weekend so that im prepared. My last pregnancies were for October babies which meant all summer maternity clothes. I have nothing to wear this winter! I haven’t been exercising much the last few weeks. I quit OrangeTheory as soon as I found out I was pregnant. I want to be clear that in NO WAY to do I think it is dangerous or a bad choice for pregnant women. But given my history of miscarriages and early issues, I wanted to be overly cautious and just really take it easy this time. Also, my favorite coach there left anyway so my motivation was seriously down. I was running a bit for the first 8-9 weeks of pregnancy but then started to feel pretty yucky in the mornings, so have taken a break for this past month or so. I’m hoping to still be able to pick up some jogging and a whole lot of dog walking starting very soon. 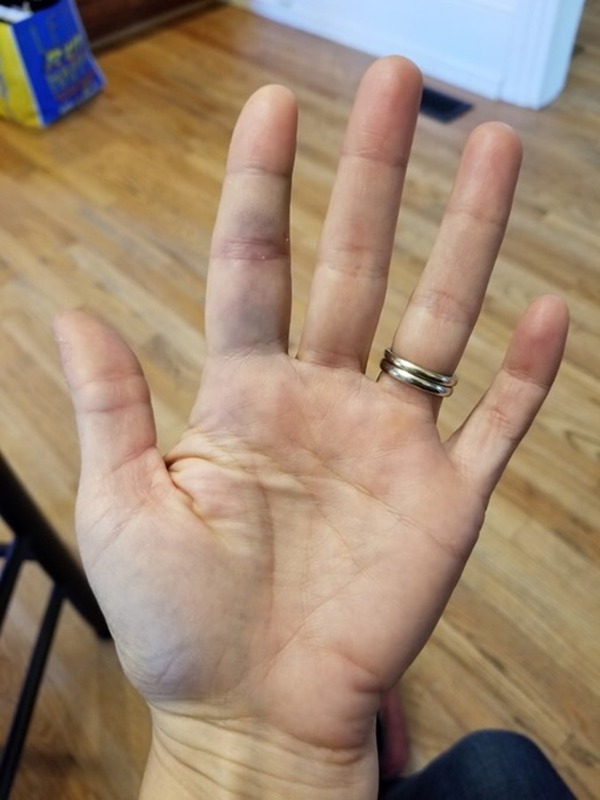 Speaking of dog walking, I had a bad fall A few weeks ago when I was out with Indy, and I broke my finger, which has been a huge bummer and nuisance. I’m in a splint now for a few weeks and hoping it heals correctly and quickly. Once I have more mobility in my hand, my plan is to jump back into Barre3 workouts! 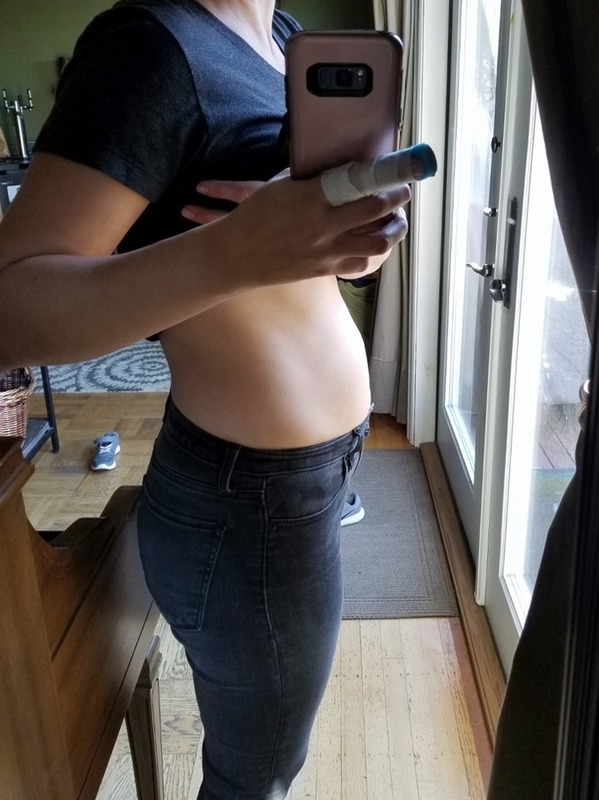 I did a ton of Barre3 when I was both pregnant and postpartum with Graham, and I think it’s the perfect low-impact, effective workout for expecting and recovering mamas (and women in many other stages of life!). As far as the road to getting pregnant goes this time, well as I’ve shared before, it’s been a long one. Fortunately for me, getting pregnant has never really seemed to be an issue. Staying pregnant, on the other hand, proved to be more challenging in recent years. This is my sixth pregnancy, and it’s hard to wrap my mind around that number. The really frustrating thing about miscarriages, other than the very obvious loss of a pregnancy, was the loss of what felt like precious time. There was the time I’d spent pregnant – usually about two months. And then the time spent actually dealing with and recovering from the miscarriage – a few more weeks. And then the time spent waiting for my period to return – typically at least another full month. There was so, so much waiting and when you are in the dark place of infertility, every month that passes feels like a lost opportunity for what might have been. It felt like years of limbo and lack of any long term planning in our lives. Through the last few years we have obviously gone back and forth on whether or not we were actively trying for another pregnancy. There were a few stretches where we decided to take a break from trying in order to focus in physical and emotional healing. After my third miscarriage in June, we decided to be happy with our family of four and emotionally and physically move on. 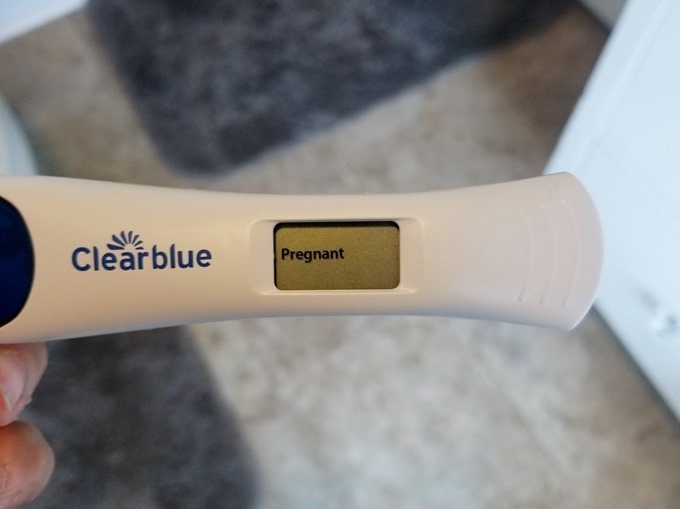 And so we were both surprised and excited when I realized I was pregnant yet again in late August. I’m finally in my second trimester now and looking forward to feeling better and enjoying what is absolutely my last pregnancy. Last but not least, it’s worth mentioning that I don’t know how much pregnancy talk I plan to share this time around. For one thing, it’s the third time around so it all feels sort of redundant! I’m sure I’ll add things here and there but I don’t think I’ll dedicate entire posts to pregnancy info. That doesn’t mean I won’t share anything – it just means more here and there (which, let’s be honest, is how I share most things these days!). But also, I know how hard it was for me to be bombarded by bellies and bumps when I was deeply longing for that myself. And while I’m in NO way implying that those who do share those things are doing anything wrong, I just feel differently about it (for me personally) after my own journey through all of this. I can only imagine how much people who were struggling wanted to throttle me when I was holding up pictures of fruit in front of my belly six years ago when I was pregnant with Cullen. But I didn’t know any differently, and while I don’t think I did anything wrong, I’d like to be more aware and more sensitive this go round. It is so natural and appropriate to be excited and share that excitement! And while of course we are excited, there is also still a piece of me that will probably be apprehensive until May. Until then, fingers crossed that things continue to go well and our baby girl continues to grow and thrive. Thank you guys so much for all the love! Next Post » Foodie Baby: Babies & Big Kids! Thanks for your sensitive post. I’m currently 20 weeks pregnant after two miscarriages in the last 12 months. Now that I am showing I can’t avoid talking about it with people I hardly know. I wanted to keep it to myself for so long. Everyone keeps asking me if I am excited, and honestly that is not the emotion that I feel. I am happy but anxious, cautiously optimistic. I find myself wanting to talk more about the miscarriages than the current baby because I hope that by being more open, these sort of losses might be normalized and not hidden away in shame. Thanks for sharing and best wishes to you for a healthy pregnancy. Yes to everything Elora said. I’m almost 36 weeks, but for the first 20-22 weeks, I was so scared to talk about it, acknowledge it, get excited about it, etc. I didn’t tell work until 17ish weeks and I couldn’t bring myself to post about it on social media until almost 20 weeks. It was only after I was obviously showing that I sort of got forced into talking about it/processing it more. It’s good to know I am not alone. Sending you lots of love and a healthy pregnancy/baby, Elora! I’m so glad to hear that everything has been coming along smoothly to date! I’ve been doing prenatal yoga on Codyapp during my pregnancy and loved it. I had to give up more strenuous exercise because it depleted me more than was comfortable, but still needed to move and stretch a lot. It didn’t take me super long to conceive, but I got to the point where every facebook pregnancy announcement made me want to do an eye roll. With that said, all of the bloggers who posted their pictures, symptoms, road to baby, etc. were extremely helpful throughout the process, so know that those posts are valuable. Congratulations on your pregnancy! I’ve been following your blog for about four years now. It started with reading your recipe blog after I was recuperating from an eating disorder and was learning to enjoy food again. A year or so later I started reading more of your pregnancy/baby related posts, since we were trying to conceive. I just want to say thank you for this post! It really sums up the mixed and complicated feelings you can have when trying to conceive, being pregnant and a young mom. In the Fall we felt ready to start trying again. And again I was pregnant right away. And again an early miscarriage. I have the same thing that I can’t wrap my head around the number of pregnancies I’ve had (four), yet feel very fortunate and grateful for our sweet girl. Wishing you a great and healthy pregnancy and lots of joy together. Congratulations on your pregnancy! Wishing you a great and healthy pregnancy and lots of joy together.